I've seen a lot of stunning altered bottles that have been embellished with bits of lace and wanted to give it a try myself. My bottle is on the smaller side but I think it's perfectly sized as a sort of fairy tale potion bottle. To embellish, I deconstructed three different laces from the January Blog Design Team Kit to fit just-so. From this angle you can see the little flowers around the top of the bottle. They are from this Ivory Lace Trim. (They totally remind me of four leafed clovers so I would be sorely tempted to turn this into a bottle of good luck!) The pieces that drip down the sides are snipped from this White Lace Trim. Around the bottom I've wrapped a length deconstructed from this White Lace Trim. I really wanted to create a weathered forest fairy-tale look so I brushed some tea onto the lace to give a bit of age. 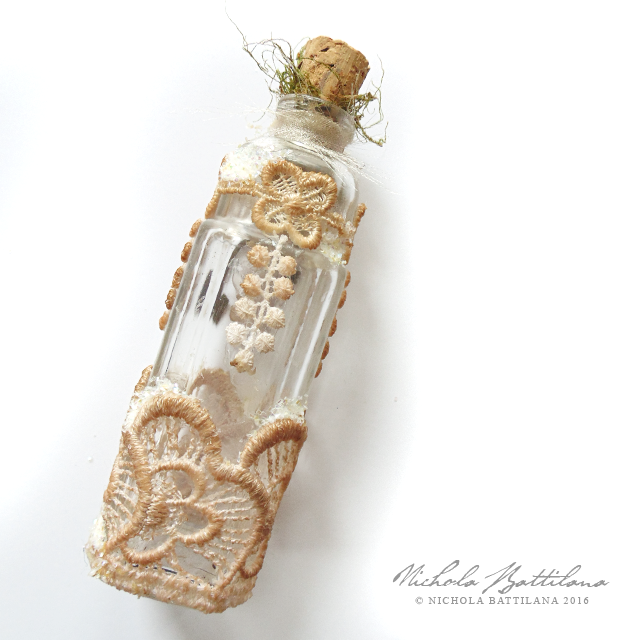 I pushed some wiry moss into the mouth of the bottle, then pushed the cork into place. To finish it off I've added a some ornate keys and Stamped Metal Brad. Ta da! 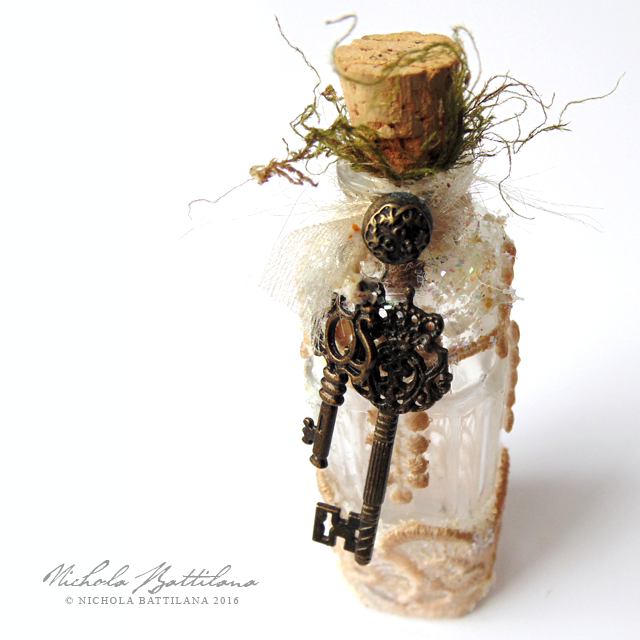 Little magic potion bottle! 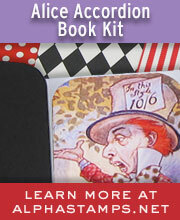 This month's Alpha Stamps kit theme is Amour (Valentine Paper Theatres). 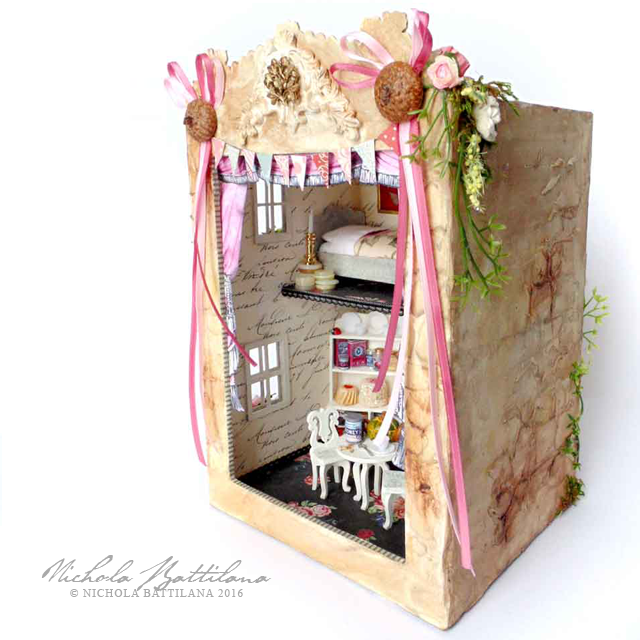 I got totally sidetracked with their new itty bitty furniture and instead of a theatre created a petite pink villa, a sort of miniature romantic getaway. A Frame Front Room Box is used as the base of this piece. Holes have been cut into the sides and back and laser cut window frames added. 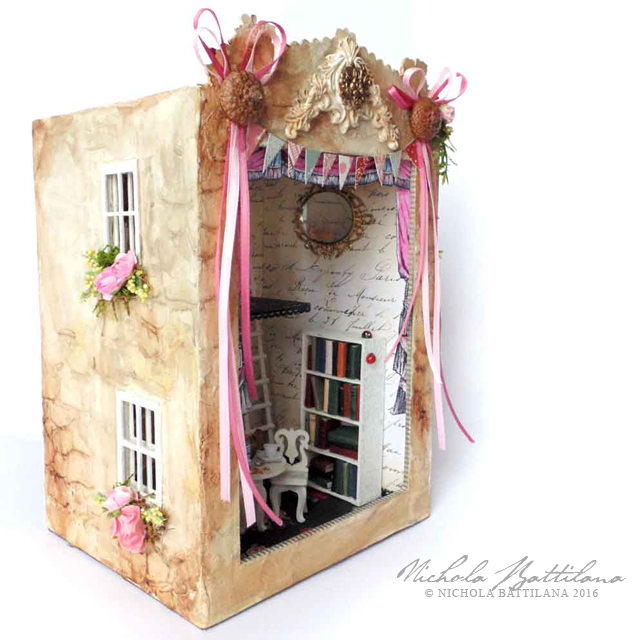 The addition of a Shadowbox Facade to the top of the box adds some nice visual interest. 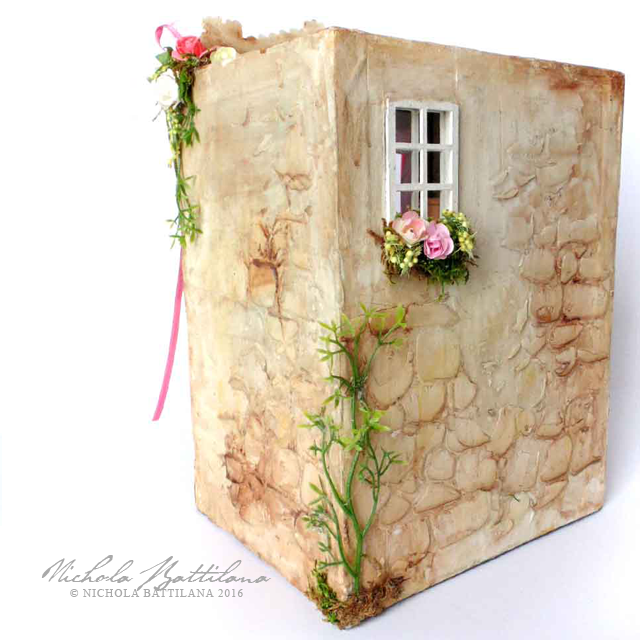 For the exterior I first covered the piece in paper, then, using the Stone Wall Chipboard Texture Sheet I applied random patches of acrylic gel medium. I painted the entire piece, then added wash of darker paint allowed to pool in the crevices giving a good impression stonework without covering the entire piece. Inside, a sweet little scenario of shared tea, crumbs and honey. 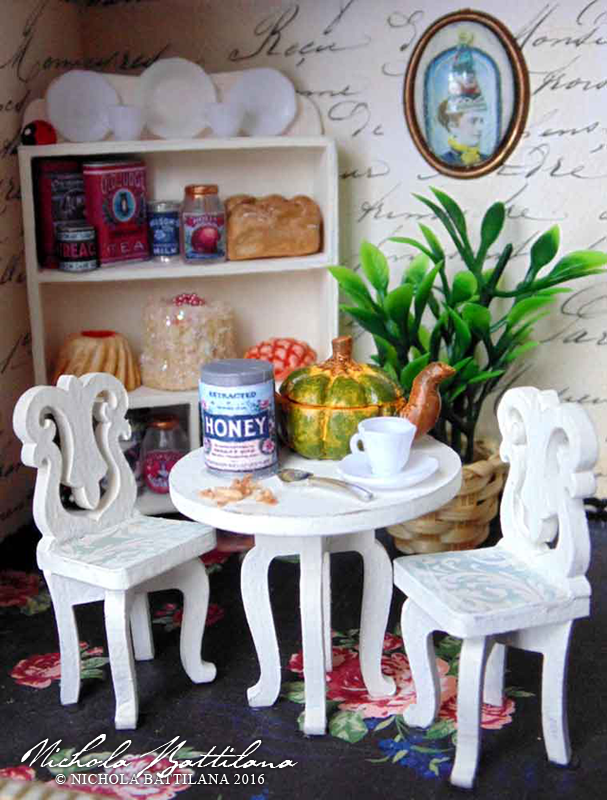 The table and chairs, and china cabinet are made of chipboard, 1:24 scale, and assemble quite easily. I've kept them simple with a coat of paint and a snip of paper, but I'm certain with a bit of ingenuity they would provide a solid base if you wanted to be a bit more elaborate. Tiny cushions on those seats would be absolutely darling. You'll find a long list of all the bits included in this piece below... but can we talk about that Green Pumpkin Teapot for a second?! There are a number of those little veggie/fruit teapots at Alpha Stamps and I think they are freaking adorable. Grab a tiny book from the bookcase and let's head up the wee ladder. 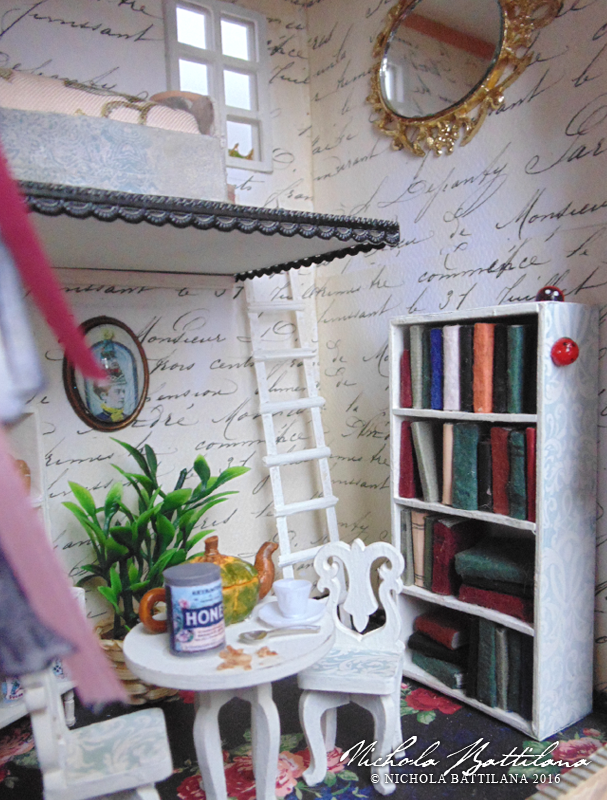 This little loft is cute as buttons. It's so cute my camera is jealous and refusing to show just how sweet it is. (What a jerk.) 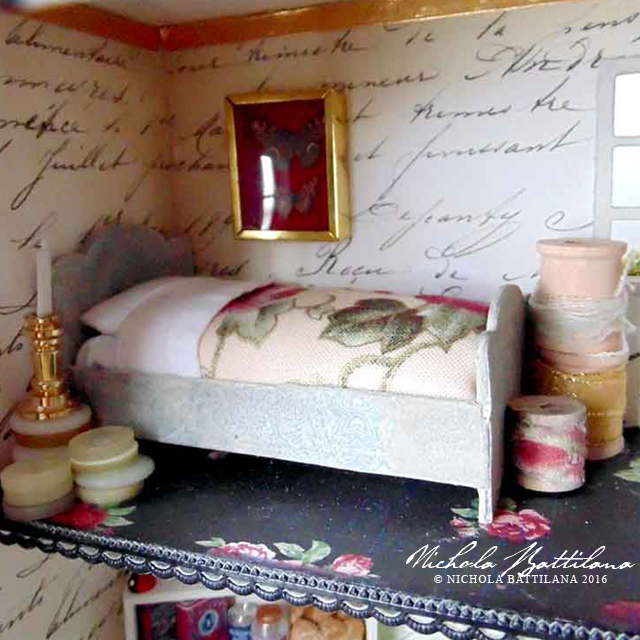 ANYWAY... there's a little bed for getting cosy, maybe reading a book, maybe do a bit of romantical snuggling *wink wink*, or just for having sweet dreams. And let's not forget that Gold Candleholder to read by (which is really, really nice quality btw). See something you like? Here's a link to all of the goodies I've used. A couple of years ago we went to this amazing garage sale. You picked up a cardboard box and crammed it with as much stuff as you could for a flat price. There was even a barn filled with 'junk' that you could pick through. 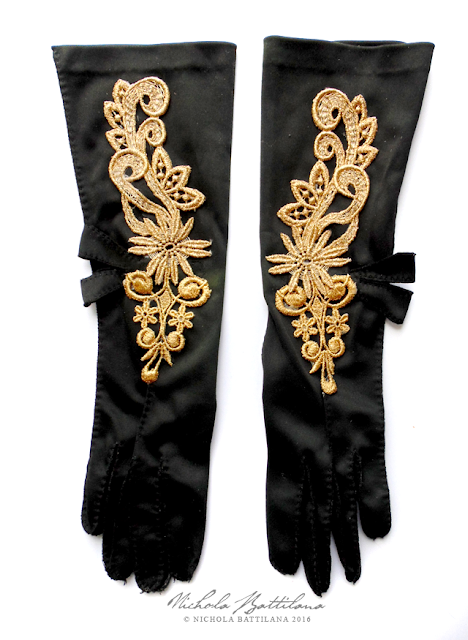 In that junk were scads of dainty satiny gloves. I deconstructed this Gold Lace Applique and used the two swirly sides down the gloves. 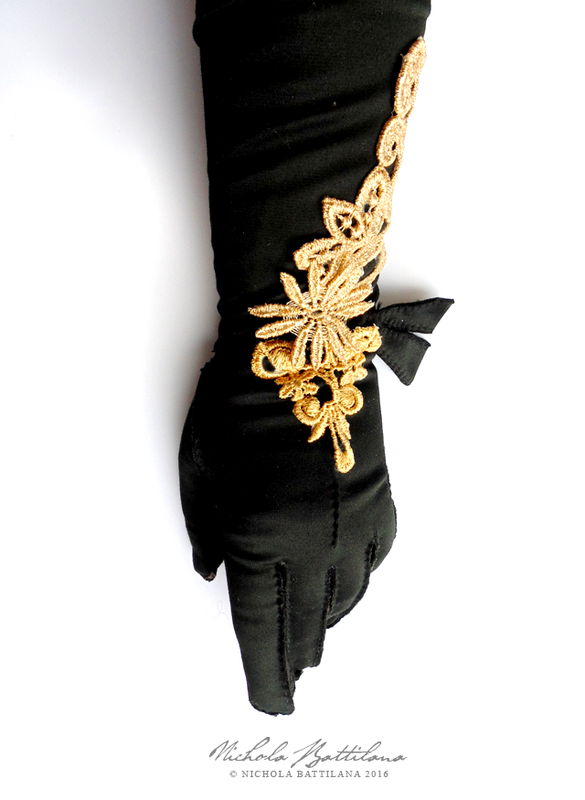 Wanting to extend the embellishment further down the glove I placed cut elements from the Gold Lace Trim down the back of the hand. 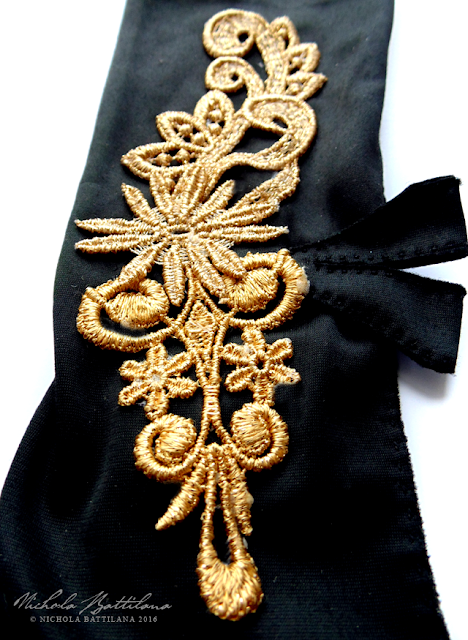 To cover the join of the two pieces I've added this sort of starburst Gold Lace Trim. And if I can't get the hubs to take me somewhere worthy of these elegant mits, I'm just going to get gussied up for my morning tea. Pinky up! 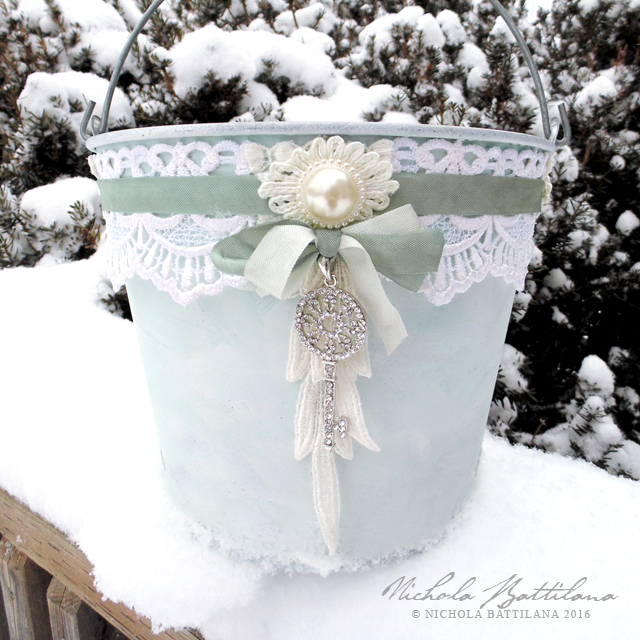 My fairy lantern post and tutorial have been pretty dang popular over the past week or so. I'm very happy that it prompted parents, grandparents, and caregivers to craft with (and for) the little people in their lives. 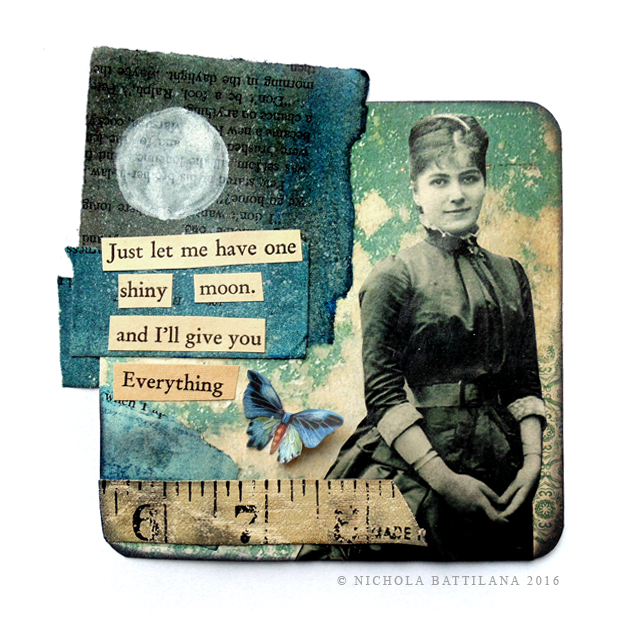 I thought I'd post another project and tute that might encourage that sort making to continue. If you know me, you know that I'm not only a fairy fanatic but that I'm also smitten with pirates. 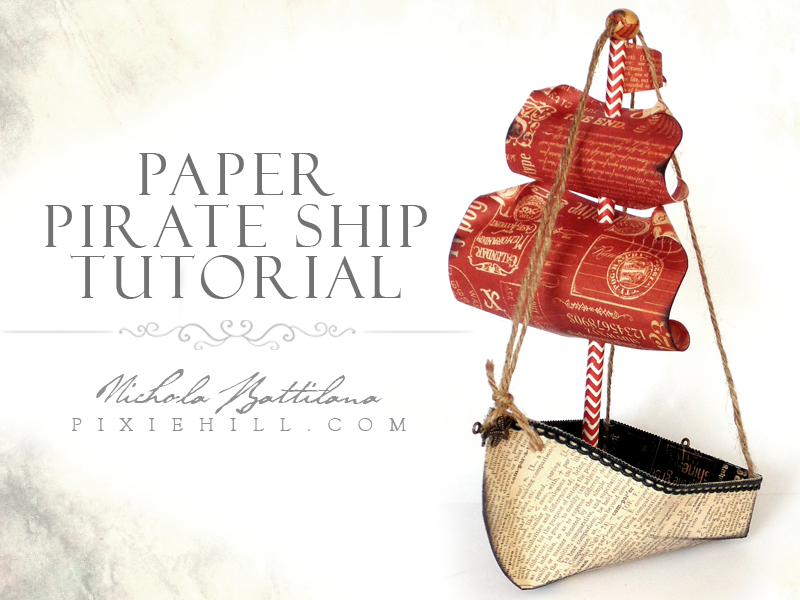 I've made paper sky pirate ships in the past as well as a nifty paper Sky Pirate Zeppelin. I have them hanging from my ceiling and I love the idea that there are little fairy sized buccaneers keeping any goblins at bay. After the initial think, I've collected and pinned loads of images over on the Inspiration Board. Now it's time to form some ideas and let them brew. I've got a couple of thoughts floating around in my head, directions that I'm considering. I'm loving the medieval tents I've come across. Their shape, colour and decoration are amazing. I also really like the circus tents that I've seen - so whimsical. But I think it's those simple camping tents that are calling my name so that's where I'm headed. How are you coming along? Have you given it any thought? Do you have a clear vision what you want to create? It might be helpful to consider WHAT it is you want to make. Yes, you're making a tent... but is it a functional thing? big? little? decorative? ornate? simple? permanent? movable? Does it have a theme? a story? Figuring out these sorts of details will help to narrow down the vision for the final project. I'll check in again next Tuesday with a few more details about my idea, what I'll be making and how I go about making it. 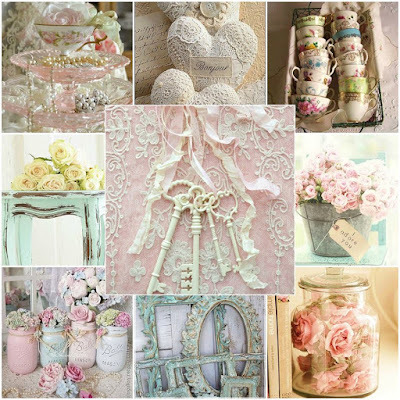 Todays project is absolutely inspired by the January monthly challenge mood board found HERE at Tresors de Luxe. 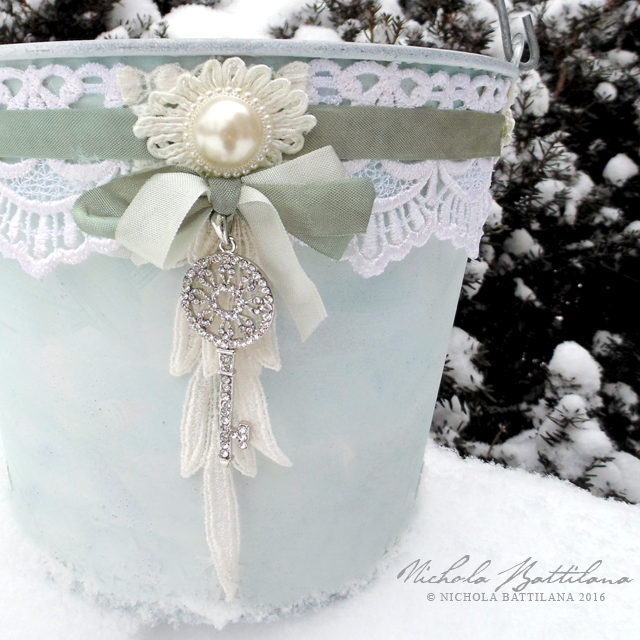 A recycled/upcycled metal bucket turned pretty shabby pail. The bucket was filled with delicious bottles of hard cider from my father-in-law (pretty much the perfect gift in my estimation). 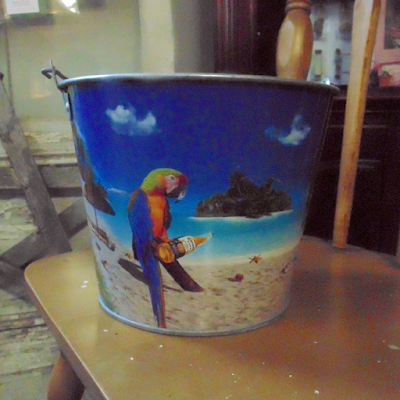 Looking past the bird, beer, beach and blue sky, a good sized metal pail for toting around craft supplies is nothing to snub your nose at. Sophisticating the rockin' tropical exterior was fairly simple. I covered the exterior with a good coat of matte white spay paint. Once dry I applied a bit of colour by smooshing (that's a very technical term) some pale blue and white acrylic paint on the surface. Then the embellishments! 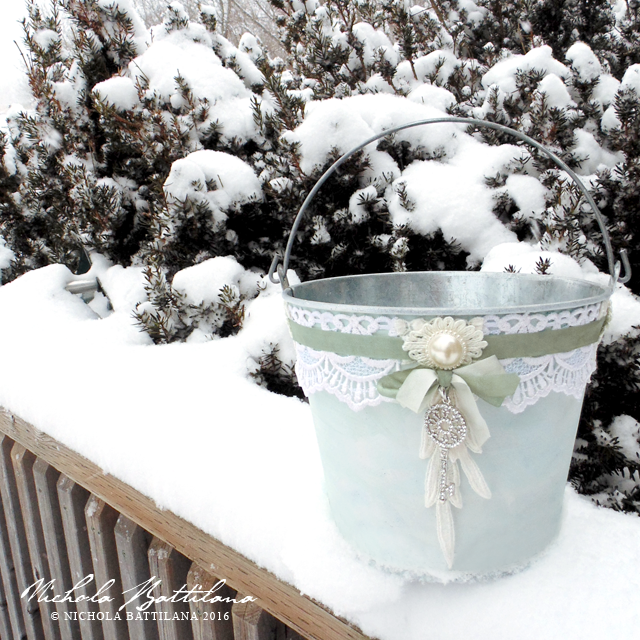 I used lace from the January blog kit for the edging and the pretty dangly bit. 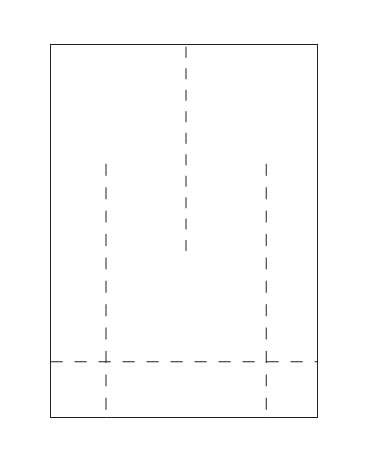 Colour is added with the addition of a length of seam binding. Deconstructed Ivory Applique Lace Trim from my stash provides a perfect foundation for that vintage button. But check out that sparkle! 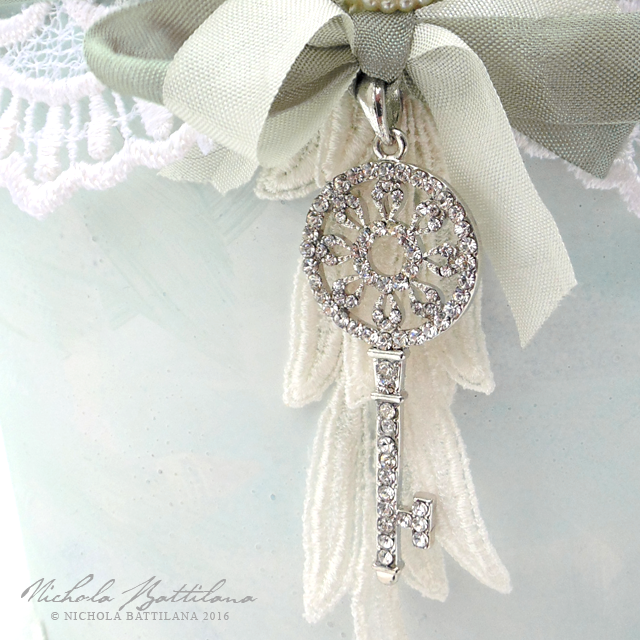 I think that Rhinestone Silver Key Charm is really the crowning jewel and oh, soooo pretty. I can not be the only person who finds crafting for men extremely difficult. There's only so many pairs of jamma pants you can make a man! So I set my mind to it: What does Mr. Pixie like? My mind turned to alllll the seed packages that were tucked and stuffed everywhere. 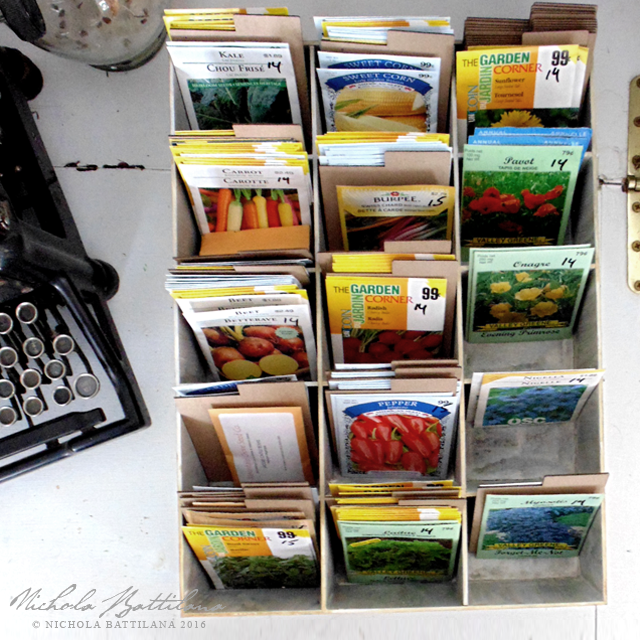 I began to dream of tidy seed storage. 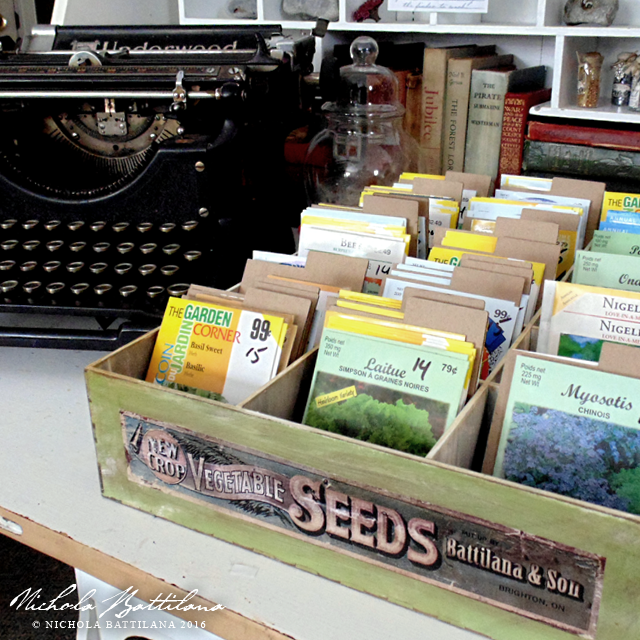 I searched for something that would fit standard seed packets and as luck would have it, the spaces in this 15 Drawer Storage Cabinet are the perfect size! Just flip it on it's back, and don't add the drawers! I am all for crafts that require less work. 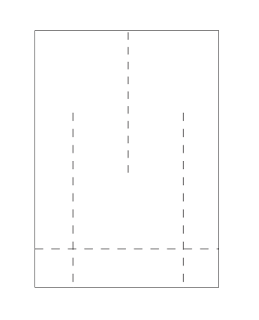 I had little divider tabs made so that the Mr. could label things if he liked (which clearly he has not done). I slapped on a coat of green paint and roughed it up for an old timey feel. 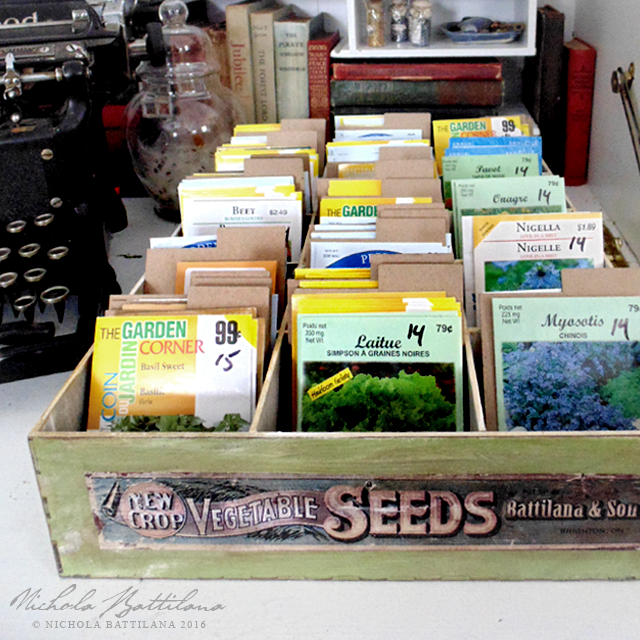 Finally, for the front, I digitally altered an antique seed label graphic to include 'Battilana & Son'. I was sorely tempted to add little feet, ornate corners and gussy this sucker up, but I held myself in check to keep it as functional as possible. I know, I know... gardening isn't just for men and this could easily be given to any seed nut. But my struggle was real *overly dramatic swooning* and I think that others must face the same crafty dilemma when crafting for the men they love. 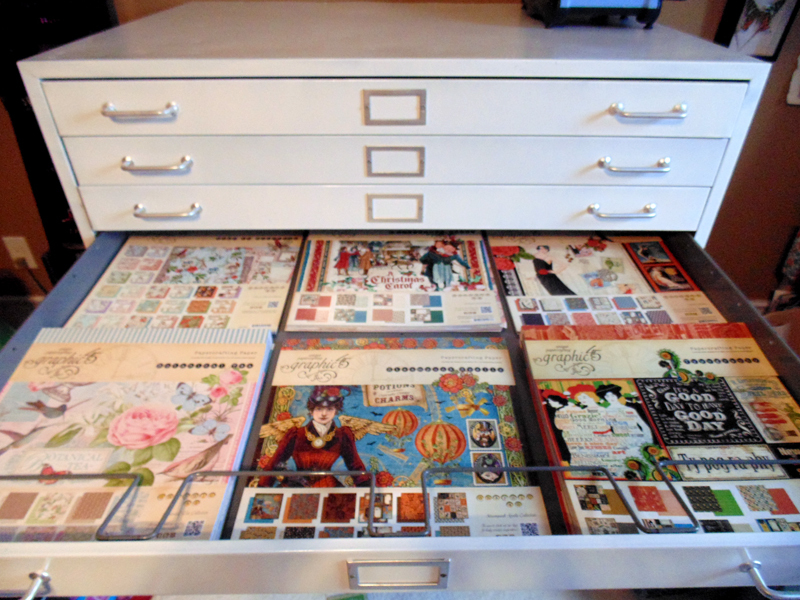 I'm reorganizing my work space (again) to accommodate a huge paper file that the hubs refinished for me for Christmas. Isn't it glorious!? Each drawer can fit 6 12" pads *swoon*. In the middle of the chaos, a little bit of pretty. I have not fallen off the face of the earth. I've been napping, and relaxing and clearing away the Christmas hub-bub. I've been tidying my studio (ha!) and basically farting around and taking it easy. Totally unlike me but I think it has de-stressed me so much that I might actually avoid my usual post-Christmas 'oh-my-god-kill-me-now' sickness! Anyway... today is Mr. Pixie's birthday and marks the last of the holiday celebrations in our house. Feeling fine and dandy (knock on wood) I'll be back to being a crafting machine next week. This guy showed up on my deck yesterday. He was pretty bold and watched me watching him from just a few feet away through the kitchen window. I admired him for a few minutes before running to grab my camera. He stayed put, just fluttering from spot to spot, and let me get a few shots in before taking off. He's a Sharp Shinned Hawk if you're interested in that sort of thing. 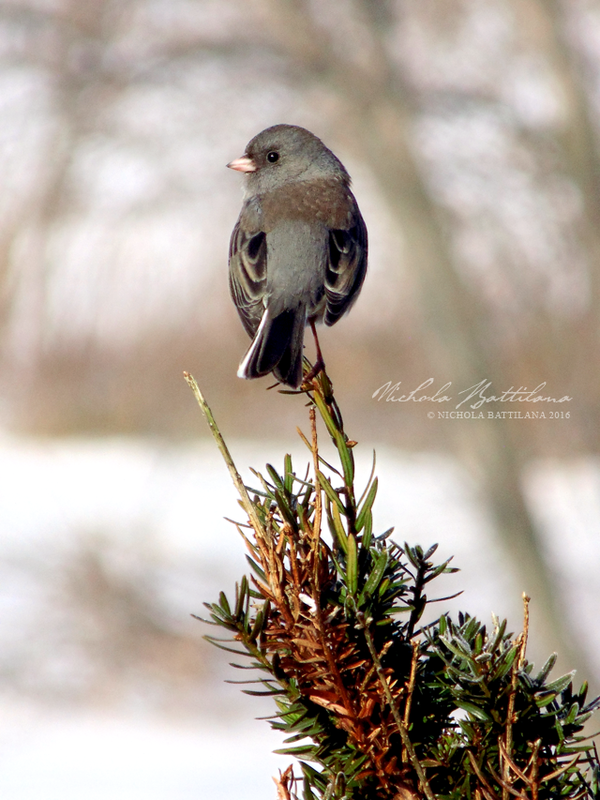 He doesn't seem to have scared off the Dark-Eyed Juncos that hang around here every winter. They were still flying about, getting their fill of seed and bossing one another around. I'll have to keep my eye out though. 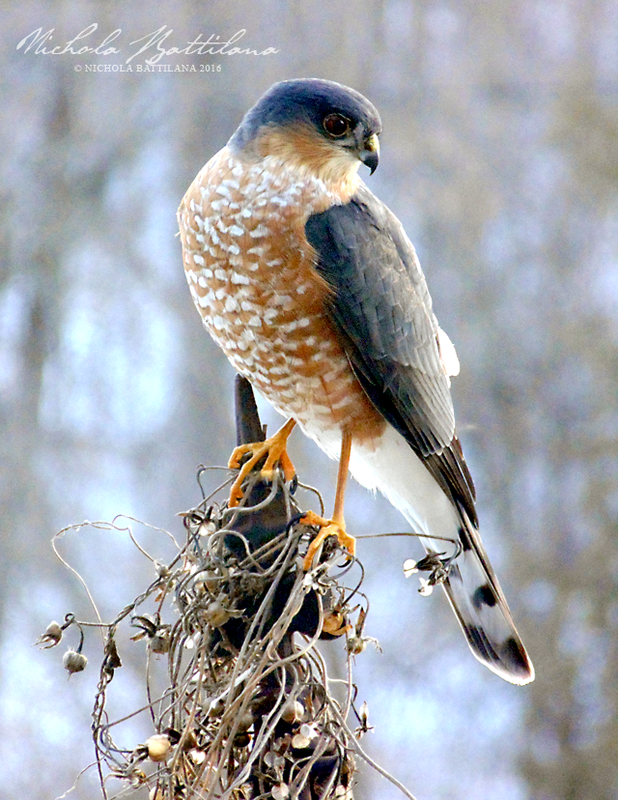 As beautiful as that hawk is, I don't want to make those wee songbirds easy pickin's for him. That's all for now. Hope 2016 is being kind to you! There's a special place in my heart for fairy godmothers. Those fluttery, frilly, silly ladies make me positively giddy. 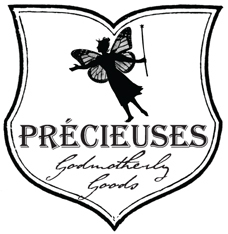 I've often wondered where they get their godmotherly supplies from. Is there a shop? A fancy boutique? A traveling salesman! 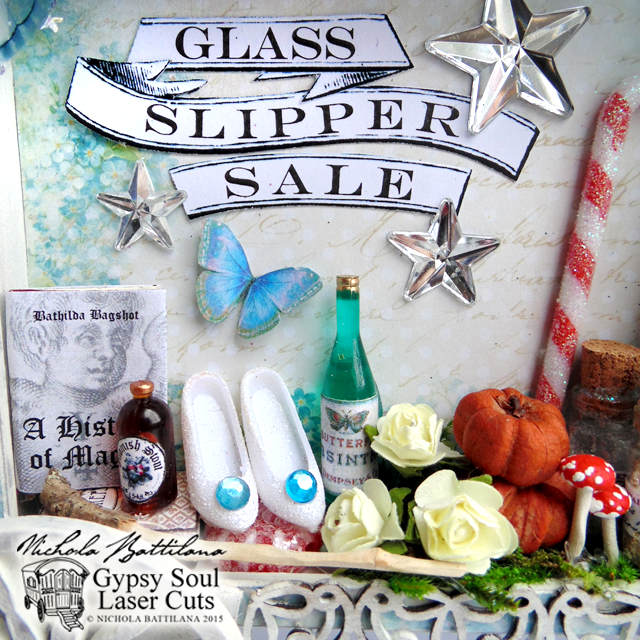 And so this month I've created a tiny traveling sales wagon for Gypsy Soul Laser Cuts with magical and glittery godmother paraphernalia. 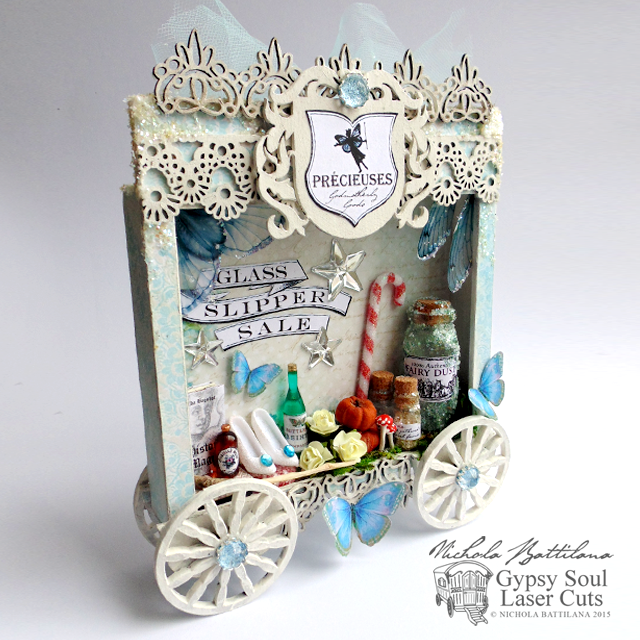 The base is a square shrine shadowbox to which I have added 1 inch Fancy Wheels Wheels. I've also added Floral and Lace border sticks for some flourish. 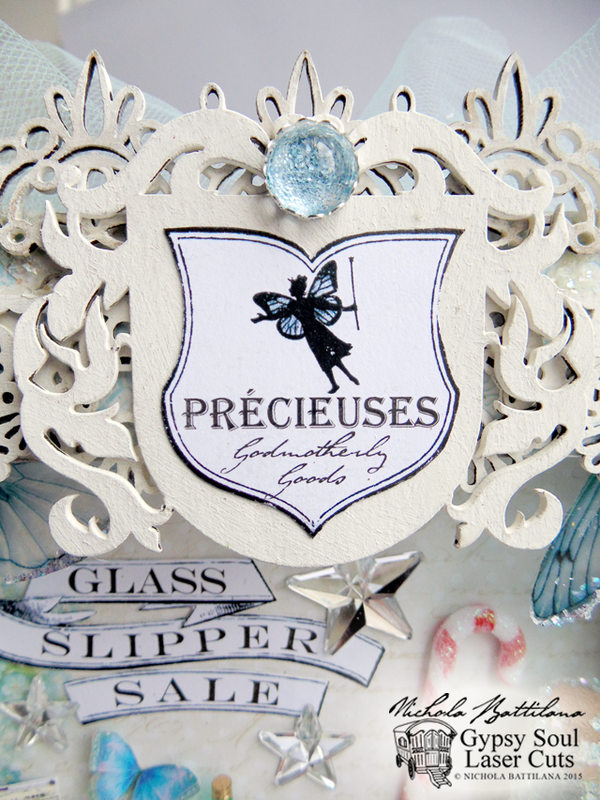 A small chipboard crest heralds potential customers to the godmotherly goods. Inside the wagon, all manner of items required for godmotherly duties. 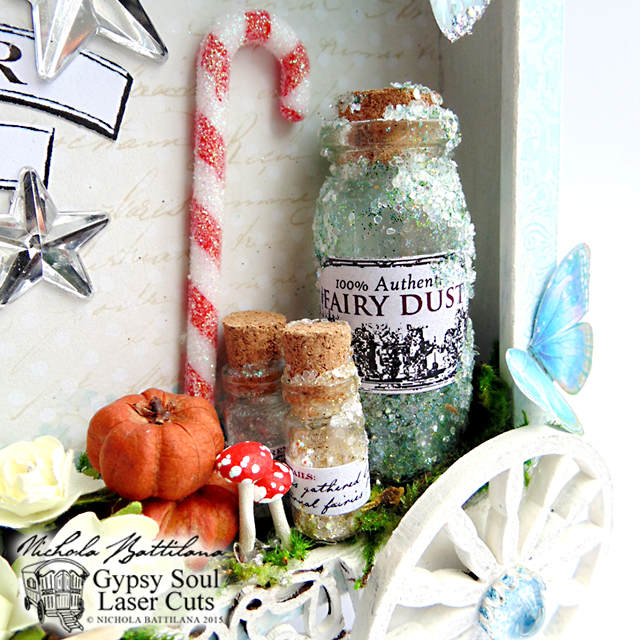 Fairy dust, candy, pumpkins to turn into carriages. Absinthe and stout to whet the pallet, magical books, tiny sparkly shoes, wooden wands and wishing stars (and a few butterflies for good measure). 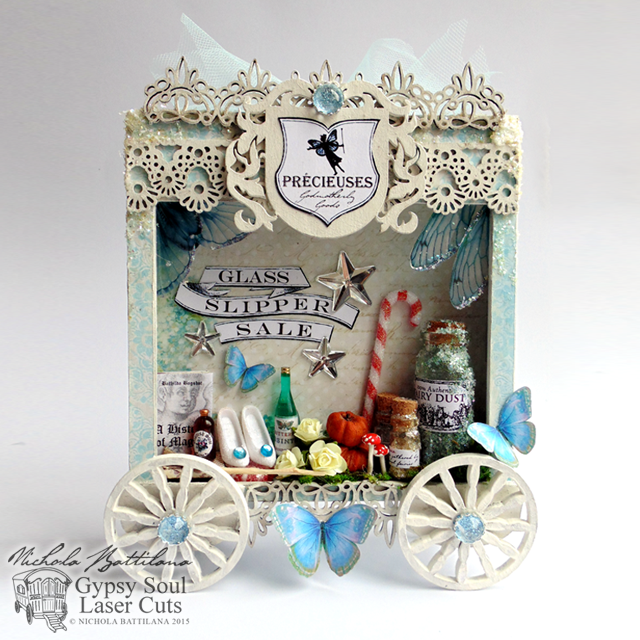 If you'd like to create your own version of this wee travelling sales-fairy wagon, you can check out the video walk-through for this project HERE. Don't limit yourself to Fairy Godmothers! If goblins are more up your ally, go for it! What about baby bits and bobs for a sweet shower gift? Really, you could pick any theme and make your very own unique version of this project. 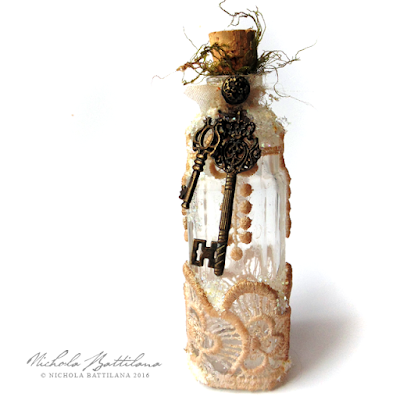 stars, bottles, flowers, pumpkins, wings, fairy dust, wee books or whatever you can dream up! Psst, here's a graphic you can use in your own piece.